Leonardo de Vinci said “Simplicity is the ultimate form of sophistication” and he was right. 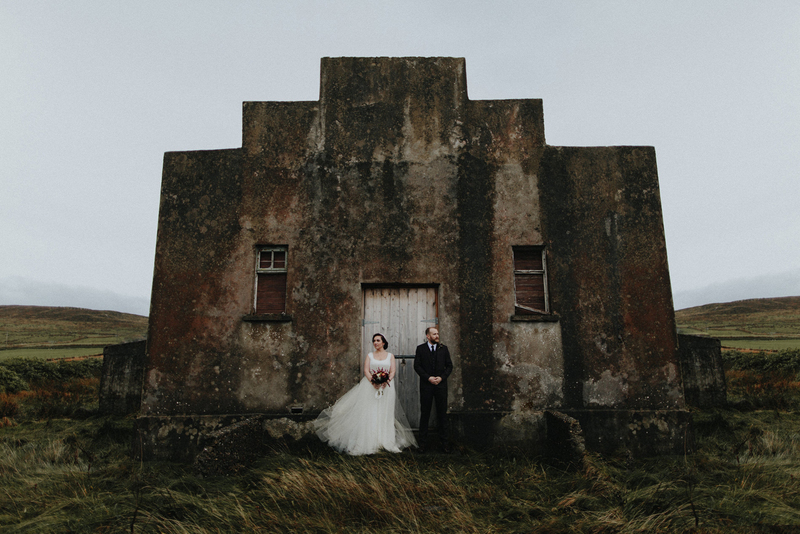 When Bríghde and Ian called us about their wedding, there was no massive rush or panic, no big hullabaloo, no dramas, no massive gestures or requests. 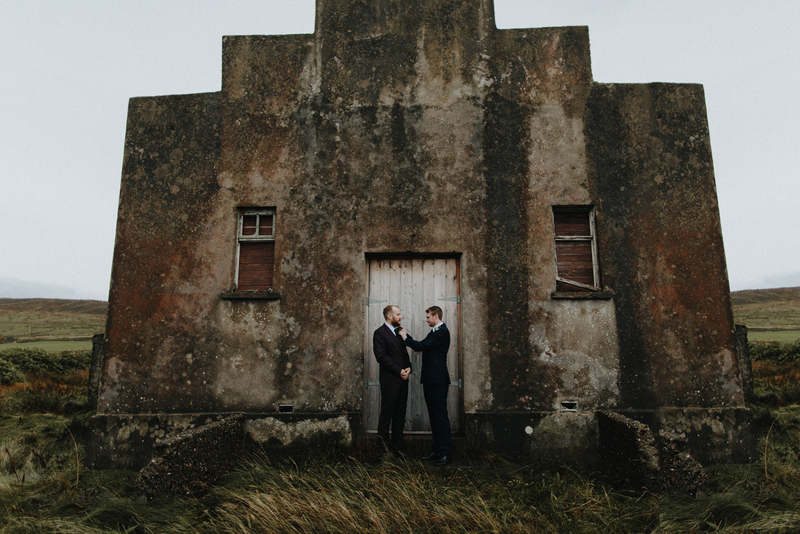 In fact when Bríghde and Ian called about their wedding, it was all very gentle. They just wondered if in a few weeks we would be free to capture their marriage vows, their promise to cherish one another. We were and I am so glad of it. 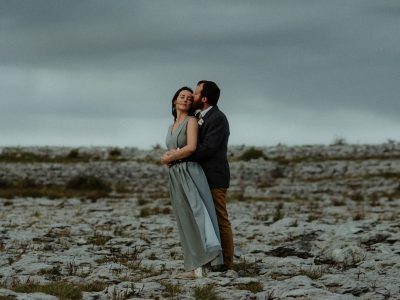 I had only spoken with Bríghde a few times on the phone, she has the kind of soothing voice that would remind you of a dreamy spring afternoon. I listened as she told me all about herself and Ians love story. I fell in love with the locations that were chosen because like this couple they had so much heart to them. Before we met her I knew in my heart she was a lady, that this bride would be elegant and full of kindness. I had not expected to be bewitched by with Ian or his enchanting bride, but I was. The reason, was their simplicity, their poise. The result? I am hopelessly in love with the images and the memories of an afternoon spent in the *Redlands*. 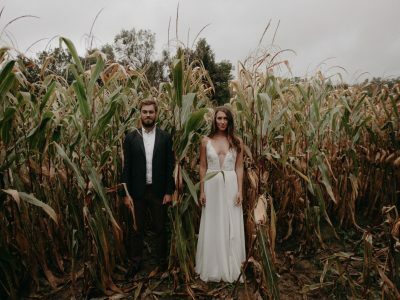 The couple had asked if we could be present for a first look. Naturally we said yes, the story behind where they met was charming. We were to meet out side Ballroom of Romance, in its time it was the local dance hall. It was where Bríghdes grandparents spent many evenings waltzing around the floor falling in love. 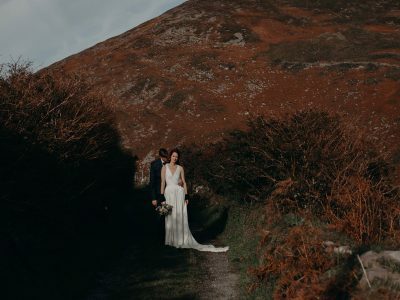 Its an age old love setting for a love story and so no better place to have a first look, a beautiful start to a new chapter in this young couples lives. I hope that many more generations will come back to this spot and remember where it all began. Ians face says he all, that first glimpse of his beautiful bride. It was a very beautiful moment. I was feeling a bit wistful when we drove away from this wedding. I think that we were meant to be the photographers for Brighde and Ians wedding. It was one of those perfect carefree days, with a love so tender it is cherished by all those hearts that witness it. nothing beats rain to create some romantic moods!